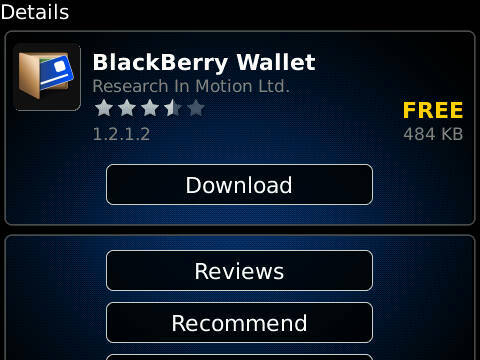 RIM has pushed out there BlackBerry Wallet app. With version 1.2.2.6 of BlackBerry Wallet users on OS 7 can now use the app. Other than a new icon, it looks like this was the only two changes in today’s update. If you find anything else, do let us know in the comments.